There is something about the sweet taste of strawberry in your mouth. It’s one of nature’s finest gifts to us. 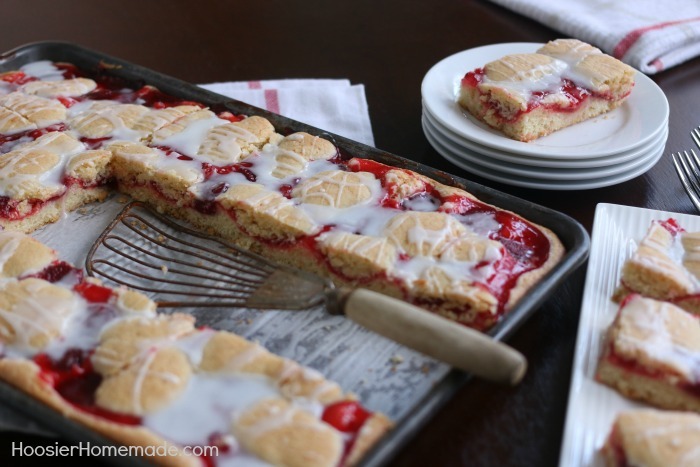 When picked at just the right time, strawberries make the perfect addition to any recipe, especially these Strawberry Cobbler Bars. With these bars in your hand, you will not only be the hero of your home, but perhaps the person of the year. Cobbler is not a new dish to the party, people have been making them for years. They are oftentimes the favorite of the party and your dish always leaves empty. 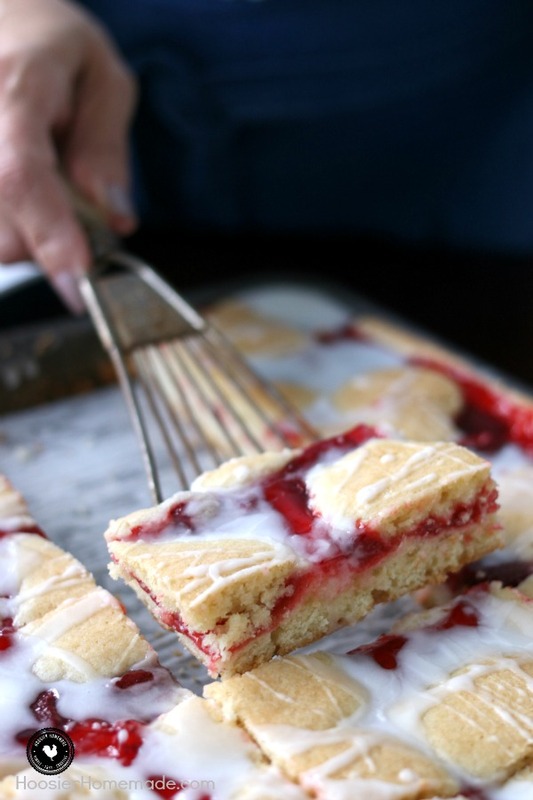 These Strawberry Cobbler Bars are a new twist on a classic favorite. If you’re looking for that “wow factor” for a company party or a family get together, these Strawberry Cobbler Bars are sure to be the life of the party. You can pair this with your favorite ice cream, you should know that adding warm cobbler to ice cream is always a favorite around here. 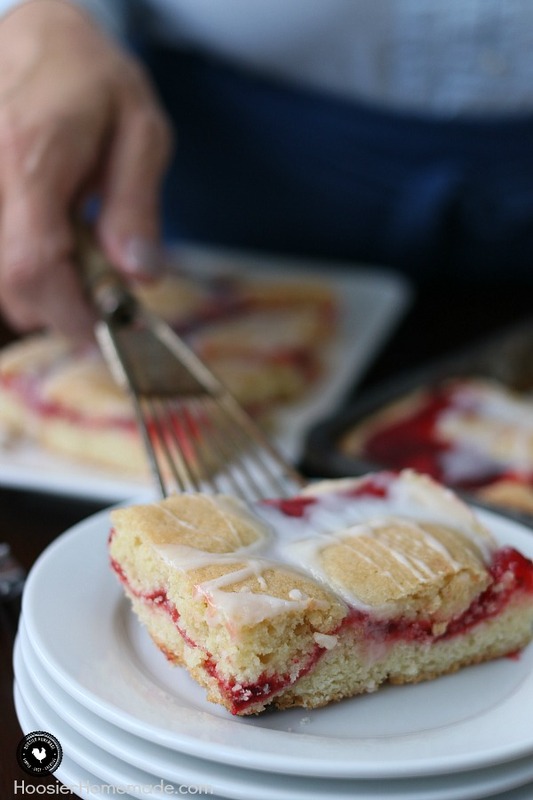 Basic ingredients help bring these Strawberry Cobbler Bars to life. You may not believe your own eyes, when you’re able to transform simple items like butter, eggs, and vanilla extract to life. Not only will you love this recipe, but your friends, family, and neighbors will ask you to re-make it. It’s sure to leave one delicious ever-lasing impression on them. The base is similar to most cookie dough recipes. You begin with creaming the butter and sugar, adding the eggs one at a time, then the vanilla. Then the dry ingredients are combined and incorporated into the creamed mixture. 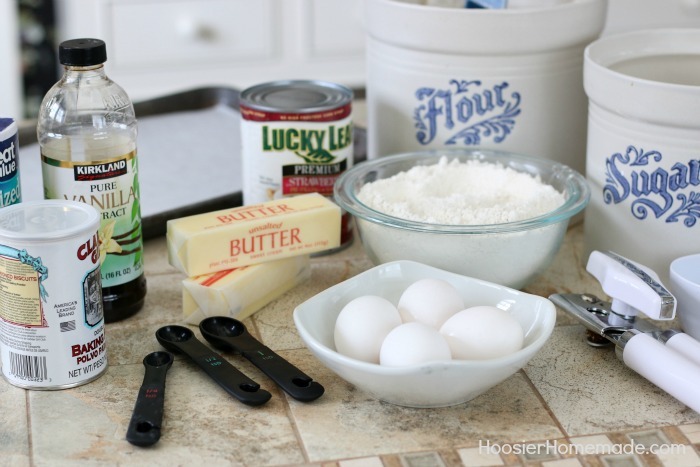 To make the cookie base, spread 3 coups of the dough evenly into a 15x10x1 baking sheet. 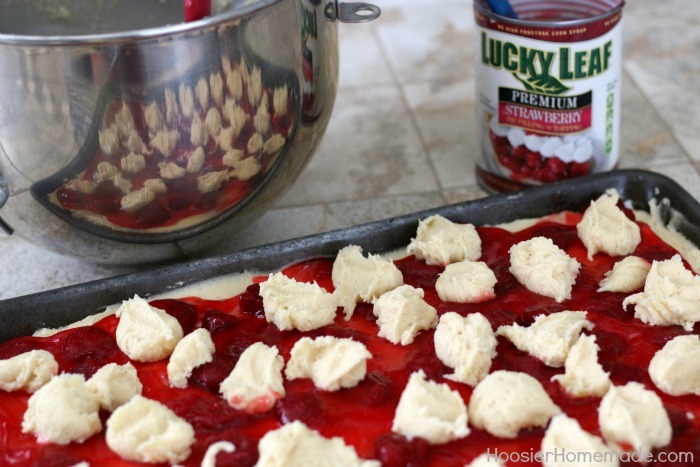 Now it’s time for the Lucky Leaf Strawberry Fruit Filling. There are a variety of flavors to choose from, you can easily change the flavor of these Strawberry Cobbler Bars. On top of the fruit filling, add the rest of the dough. Don’t worry if it’s not perfect, it will all bake together. After the bars are baked and cooled, then you can add a simple glaze to the top. 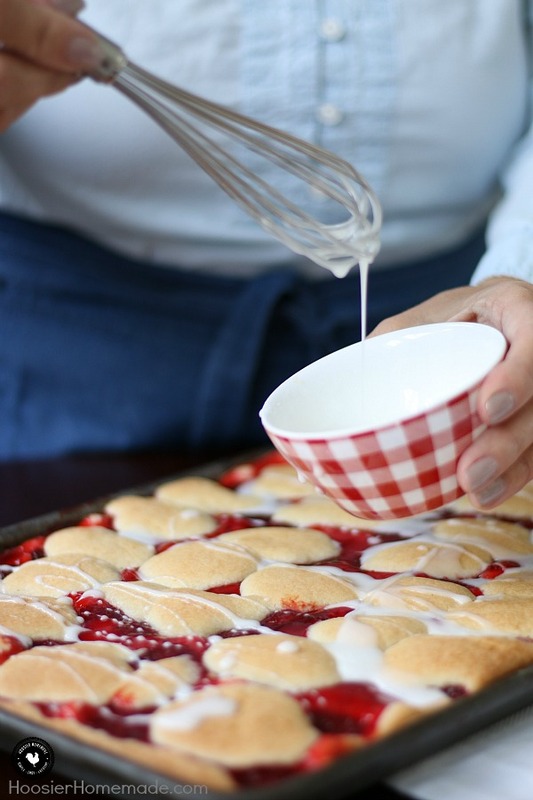 The ooey gooey deliciousness of the glaze is something you’ll want to try as soon as the Strawberry Cobbler Bars make their way out of the oven. Be careful though, you don’t want to burn your tongue, you’ll need every last one of your tastebuds to dive into this divine dish once cooled a bit. As you can see and hopefully-soon-smell, Strawberry Cobbler Bars are amazing from the inside out. Every bite that you take is one that you will want to soon remember again. Now, stop what you’re doing and head to the kitchen to make these right now. This is not a decision you will ever regret making. 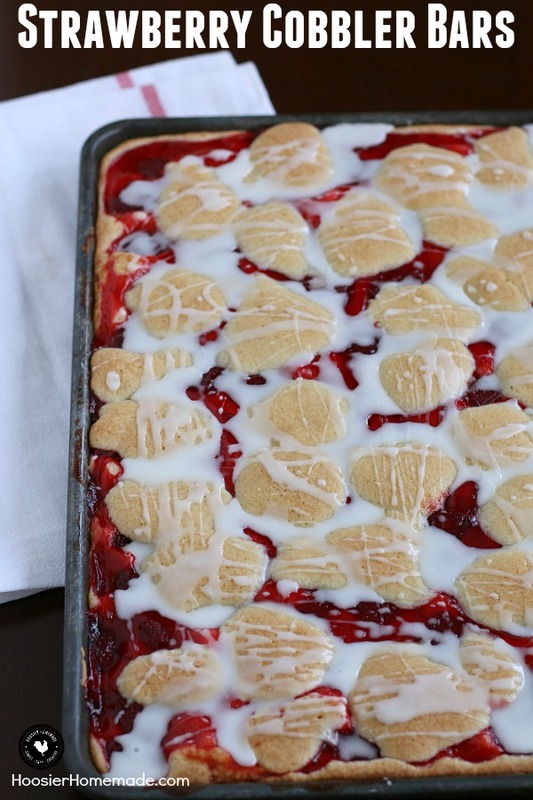 These Strawberry Cobbler Bars will knock your socks OFF! They are super simple to make and taste amazing! 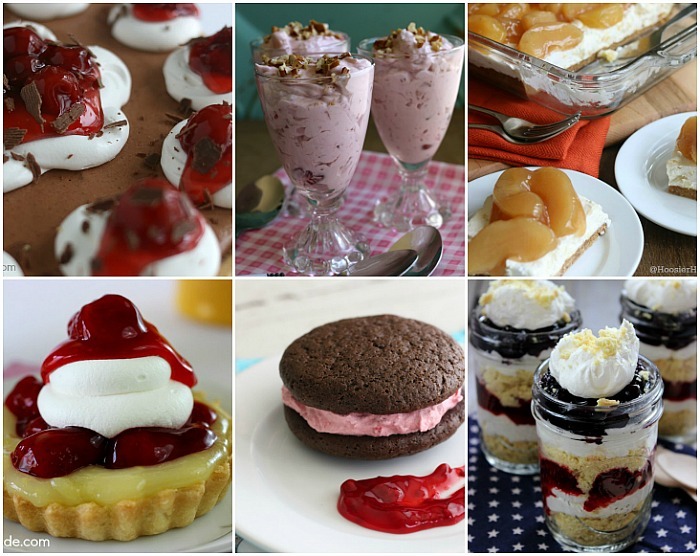 Serve them for any occasion, take them to a potluck or easy enough for a weeknight dessert! 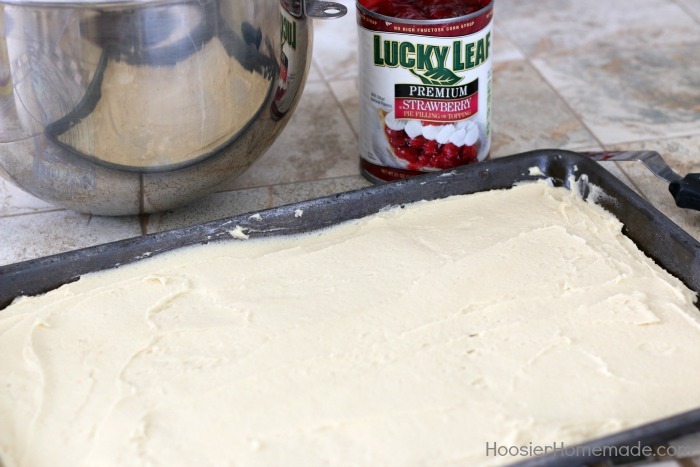 For more recipes, visit Lucky Leaf, follow them on Facebook, Pinterest or Twitter. 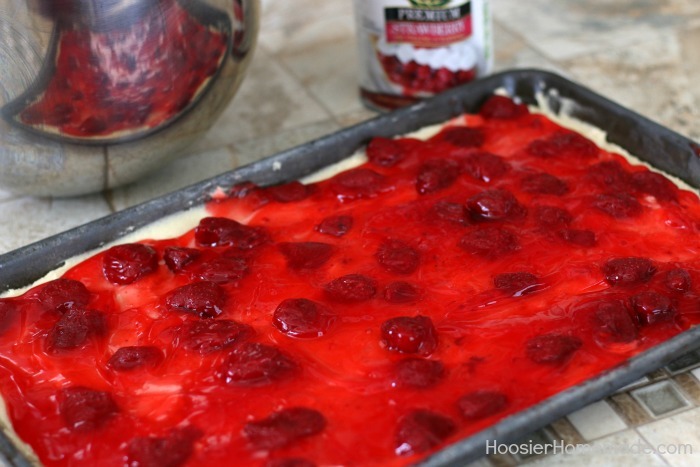 My mom has a recipe similar to this, made with bisquick, cherry pie filling, and adding almond extract. More of a coffee cake than a cobbler. Looks almost identical. That sounds great as well! Thanks for stopping by! Wow, these dessert bars look amazing. I pinned your pretty photo to remind me to make this soon. Thanks! Thanks for stopping by Ginger! So glad you like the strawberry cobbler bars! Thanks for pinning! This looks mouth-wateringly delicious! Thanks so much for sharing your yummy recipe on the Monday Funday Party! What a beautiful cobbler/short cake!! Absolutely delicious! Your pictures are so good and I can’t wait to try this, pinning! What a delicious looking recipe and, lucky me, I happen to have all the ingredients on hand! Pinned and saved on Yum! These are definitely my kind of dessert! Pinning! So glad you like the Strawberry Cobbler Bars Jessy! Thanks for stopping by! Oh my gosh – these look incredible – pinning and thanks so much for sharing ! Thanks so much Suzan! Happy Baking!